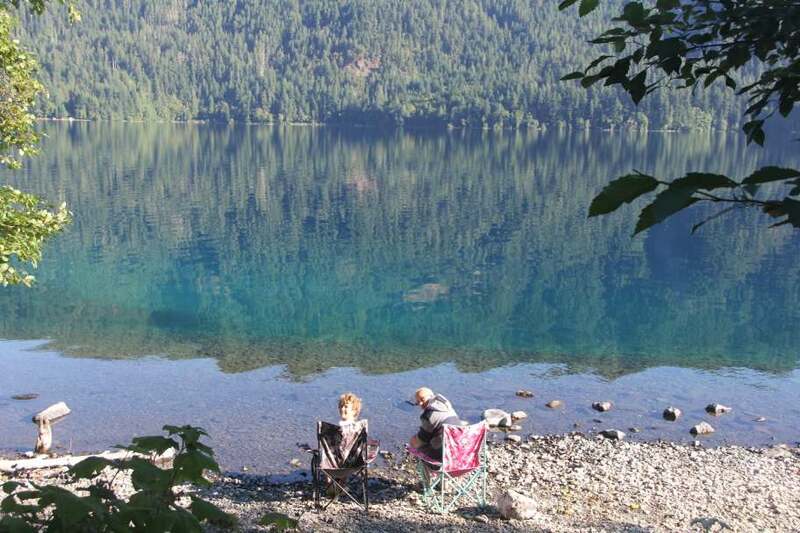 Breakfast on the shore of Lake Crescent. On Wednesday night we dry-camped. In other words, we happened to pass a beautiful lake, saw a lay-by and just stayed there for the night instead of finding an RV camp with power and water supplies. Passing lorries thought it was funny to honk in the middle of the night, so we won’t be doing that again. And the road had looked so quiet! Luckily, we woke to a stunning view of Lake Crescent, a limpid, glacier-mown, cerulean-tinted body of water that more than made up for the noise in the night. I challenge anyone not to sing that the hills are alive when surrounded by scenery like this. 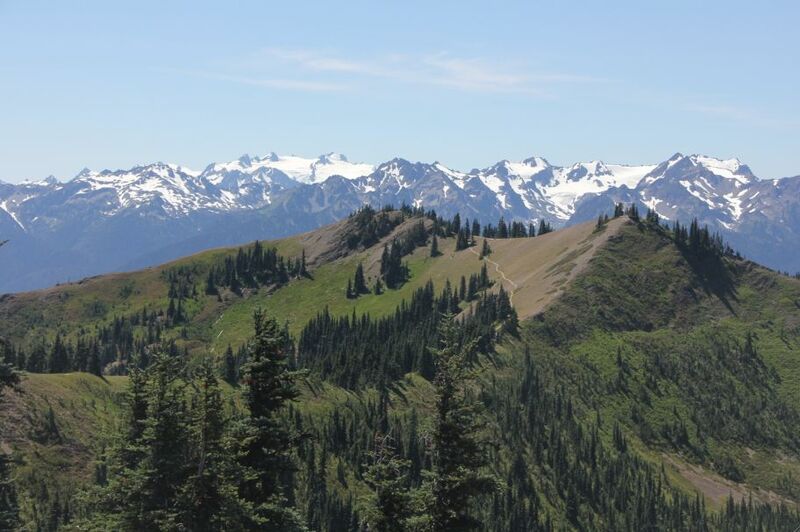 We hiked in the beautiful Olympic National Park again that day; this time on Hurricane Ridge on the north side of Mt Olympus. Hurricane Ridge is so different from the Hoh Rainforest that it’s hard to believe they’re in the same park. Instead of impenetrable forest, we could see snow-capped mountains and alpine meadows on all sides. It looked very much like The Sound of Music, but the children really didn’t appreciate my singing. Apparently, I’m embarrassing.